Hurricane Florence has claimed another football game victim. 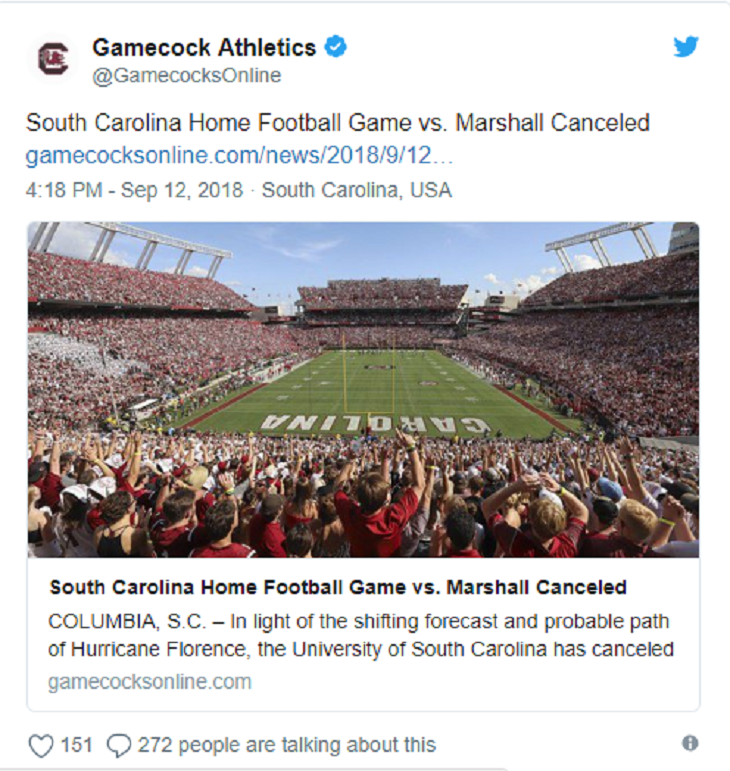 The University of South Carolina's official athletics department Twitter account recently tweeted out that the game has been canceled. There was no word on a makeup. The Tweet is below.